Axiom TV Socket Single is rated 4.6 out of 5 by 9. Rated 5 out of 5 by Castie from Great product at a great price... Bought this single to socket from my local Yoolstation. Packaging was basic, but the product is very good. Works well and a very good replacement. Price is incredible... Time will tell how h Good this is... I would give it six stars if I could!!! Rated 5 out of 5 by Eddie C from It works Bought this as had intermittent signal to tv not fixed by a cable change, replaced the wall socket with this unit which was easy to do and can now watch tv. Rated 4 out of 5 by spanners from budget tv socket Didnt need anything fancy as going behind unit. 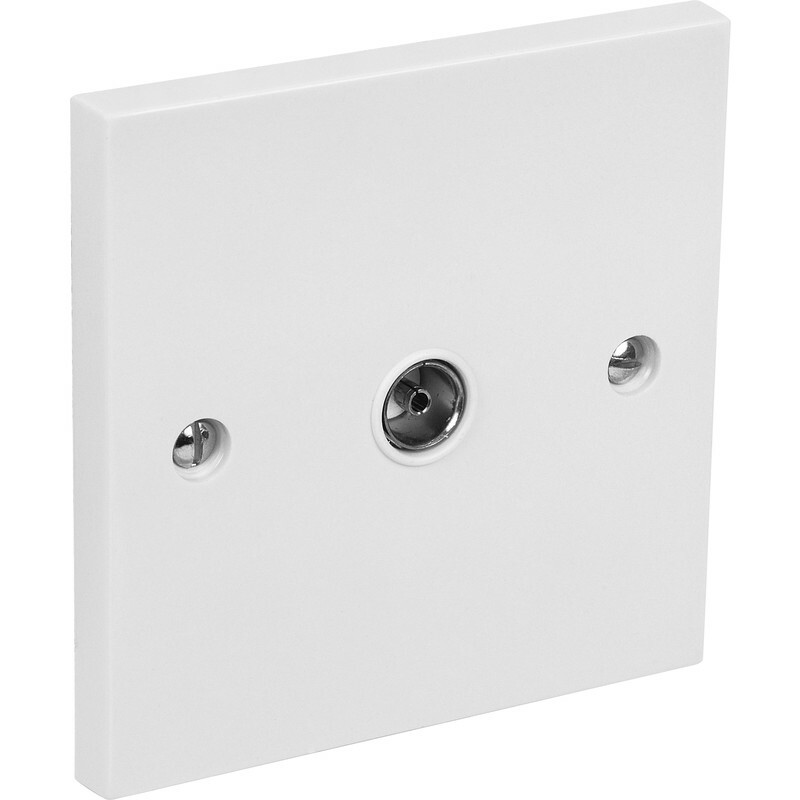 Good quality socket for a low price and does the same job as higher priced units. Rated 5 out of 5 by Rockin Baz from better than a loose cable what can one say it is a basic, although "isolated " TV socket, Easy to fit. Got good TV signal once job completed with CT 100 cable. They are smarter versions: polished chrome and brass etc, but no point in getting them when this fitting is hidden behind the TV on the wall.